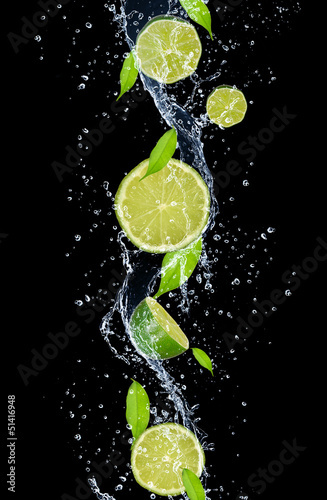 Photo wallpaper - Green lime cocktail! There’s nothing better than fresh flavours exploding with energy. You can’t resist trying it. A photo wallpaper with a motif of green limes will be a perfect decoration of the kitchen interior. Thanks to contrasting patterns, it will be an eye-catcher. Let your kitchen stop being associated only with cooking.